She is but a street cat who suddenly finds herself dying a sudden death. The next thing she knows is that she is in a new land where magic exists and she finds that she is no ordinary cat anymore. She has turned into a small kitten once more of silver colour, with green eyes that have a tint of red to them. She may sound like a normal kitten, but actually, she now has the power of magic, making her a Magical Beast in this world. She also finds that her intelligence has skyrocketed and her memories are as clear as day. In the future her name will spread as the partner to a grand Magician of the Wilderwolf family. But for now, follow her as she meets this Grand Magician at a young age and grow up together, forming an unbreakable bond along the way. Except for one thing. The MC is not a cat. She has the body of a cat magical beast, she thinks she used to be a cat. But she is not. She acts 100% like a human. And her body does too, she smiles (which cats can't do), sighs, rolls her eyes, etc. Though if this is intentional and she's just been fooled into thinking she used to be a cat then it's fine. It also isn't helped by the fact that she's called "lass" by the characters most of the time. Anyways, the MC is not a cat. 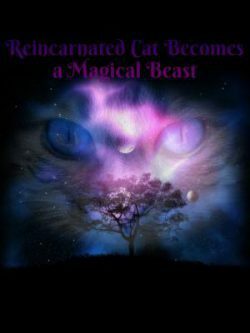 So if a story about a human reincarnated into the body of a magical beast cat with memories of being a cat in her past life sounds appealing to you, and you can ignore the fact that she's supposedly not human and the slightly poor grammar, then you'll probably like this.